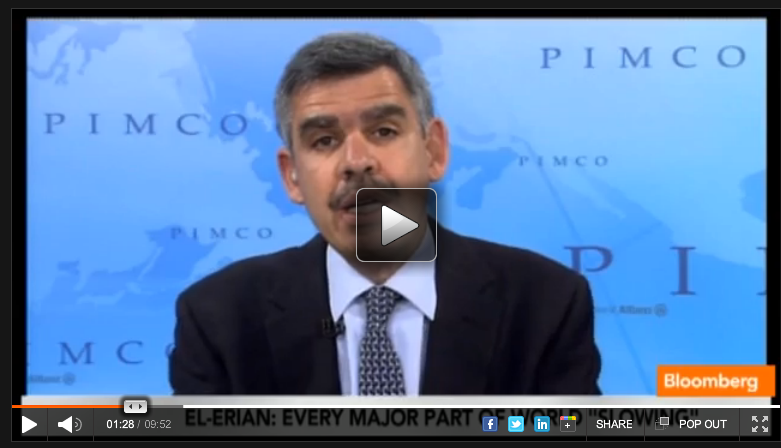 PIMCO’s Mohamed El-Erian says the recent U.S. jobs report is very worrisome. El-Erian tells PIMCO that it’s part of a trend in which “every major part of the global economy is slowing, and slowing rapidly”. He says that a series of good data will be needed for the economy to achieve “escape velocity”. El-Erian also says global policymakers must get their act together to help the situation, not through more quantitative easing but by taking steps to make more structural changes. He recommends investors focus on quality given all of the uncertainty in the economy.